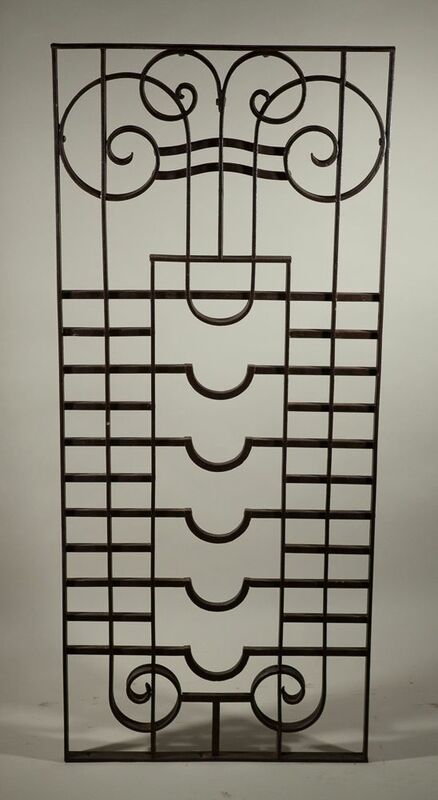 1930s art deco hand-wrought iron window grill with fabulous style. 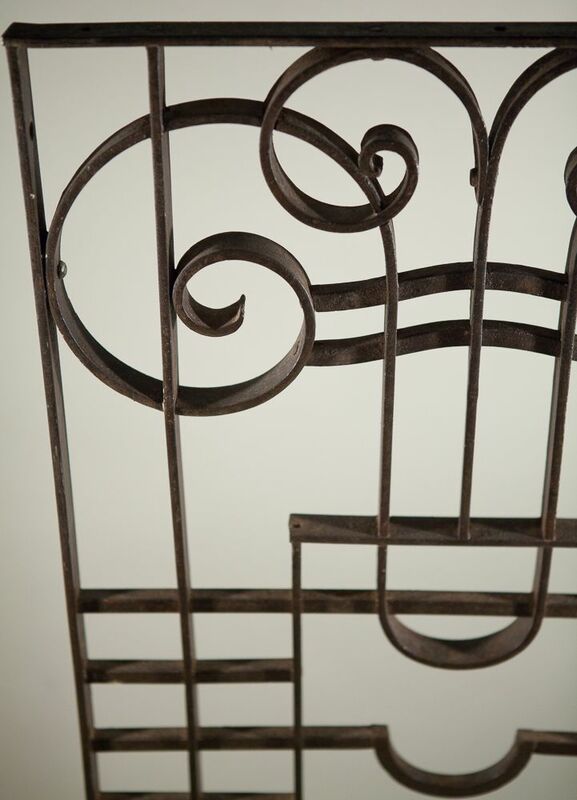 Beautifully forged, this lively architectural panel offers a wealth of design possibilities for home and garden. 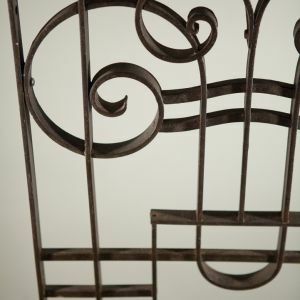 Two grills, with matching smaller grills (not shown), are available for purchase.